I’ve only been shooting a longbow for a few years. Before that I shot a compound and FMJ’s. I’ve had it with wood arrows! They just break too easy. Thinking about trying FMJ’s for their weight and durability. Or the Axis traditional. Also is it necessary to put a weight tubes in the shafts? I only need a 500 and those are pretty light. How are aluminum arrows in a back quiver? Noise machine? This is my first post, sorry if it’s posted in the wrong section haha, but basically, I was wondering who here has experience with making traditional longbows? I’m sure most of you do, but who would be willing to give me instructions on how to? 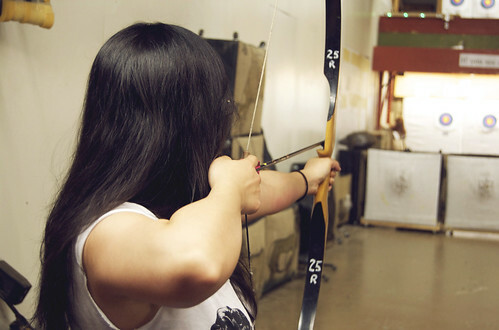 I’d like to pick up building longbows as a hobby, and what better place to learn than from a community of fellow archers? bear longbow, poor form. draw weight too high? But to give the little man credit, he is only 18 mo old! Just got a little bow for my little man and he’s sure figuring it out faster than I thought! Try the link, can’t get the video to embed. Posted in Latest archery newsComments Off on bear longbow, poor form. draw weight too high? Posted in Latest archery newsComments Off on Longbow practice? If I’m out all day hunting I don’t want to have to string my bow when I see a deer, maybe if I spotted it through my glass from 100 yards or so, but mostly I’m going to be in my custom blinds or a treestand, so can I string my bow before sun rise and keep it strung through the whole hunt? I’m usually there till dark. Least expensive, entry level “adult” longbow? 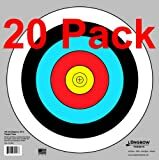 Guys, what longbow would you recommend for an adult to get started with? Something like the Samick "Verna", at 64"? I’m 6’1" and have a 29" compound draw length. Looking for something to get started with and a longbow intrigues me. I shoot my compound at 70# and my recurve at 50#. Thanks for any info you guys can offer. Posted in Latest archery newsComments Off on Least expensive, entry level “adult” longbow? What do you think is the best bet for Longbow limbs with good performance on an ILF riser? I’m shooting some pretty smooth/fast foam limbs [WW inno’s] on my ILF riser right now. This setup at 54# is a pleasure to shoot but not whisper quiet even with limb pads, yarn wrap, yarn puffs and 560 gr arrows. I have played with BH and its at what seems to be quietest. If I can get comparable performance with longbow limbs without losing too much speed I might want to give them a whirl.